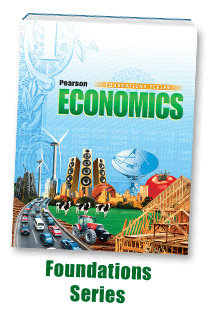 Pearson introduces two new programs designed to make economics more engaging and accessible for all students. 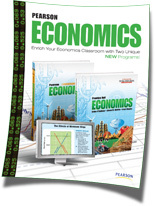 Based on the same core content, these two economics programs are designed to address the needs of both on-level and struggling readers. 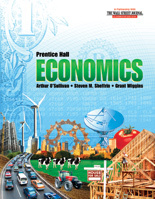 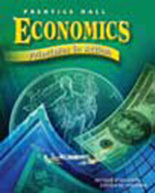 Prentice Hall Economics ©2010 is a multidimensional, comprehensive high scho ol economics program designed to help students achieve an understanding of key economic principles and their application in the real-world by using Essential Questions, Personal Finance topics and cutting edge technology. 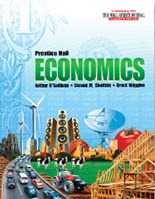 Designed for students reading near a sixth grade level. 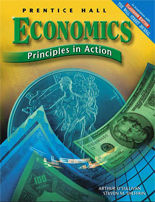 Features explicit reading strategies, vocabulary support, and a carefully written and designed student page that makes this a book students can read. 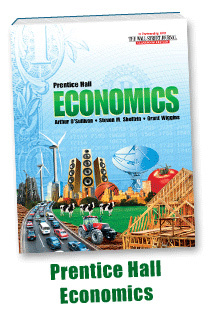 Learn more about these two new programs designed to make economics more engaging and accessible for all students.